Today we still were reeling a bit with jetlag and tiredness. However, I started with a run to Sepphoris (Tzipori) where I am convinced St. Joseph and Jesus worked each day. It was a booming construction site in the first century and it took me 1/2 hour to run there from Nazareth. 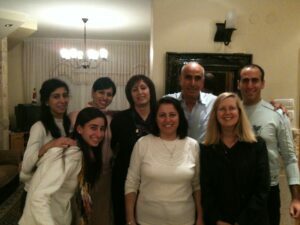 Then we ate dinner with some wonderful Arab Catholic friends of ours who live in Nazareth. You might recognize him as Issam Maalouf, our driver. 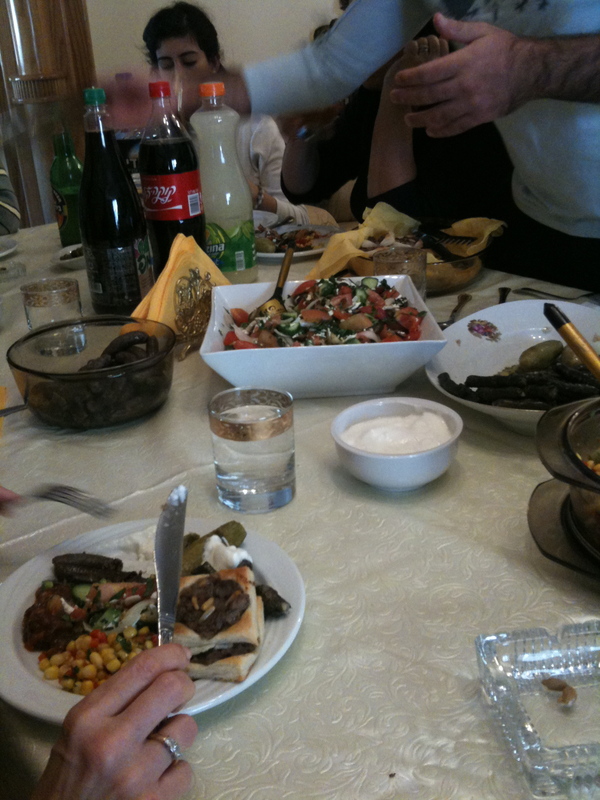 We had a delicious, homemade dinner of local foods like lamb kabob, yogurt, stuffed zucchini, stuffed grape leaves, salads, Arabic hotdogs, pastries and much more. 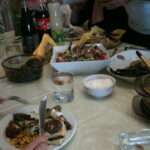 Their gentle and gracious hospitality is typical of the Christians in the Holy Land. Tomorrow our group arrives and we will pick them up at the airport at 2:30 PM Israeli time (7 hours ahead of Eastern time). I will be uploading daily videos of our trip and using Twitter (home page or Twitter.com/JerusalemJones) every few hours to update family and friends back home.